Getting these full-color totes in customers’ hands is a recipe for successful brand advertisement! These quality 4-oz cotton sheeting totes are perfect for running errands and grocery shopping because you don’t have to worry about them ripping or breaking. The full color branding gives an extra-bold impression at trade shows and events! The reusable tote can be folded flat for easy storage in closets or front halls. 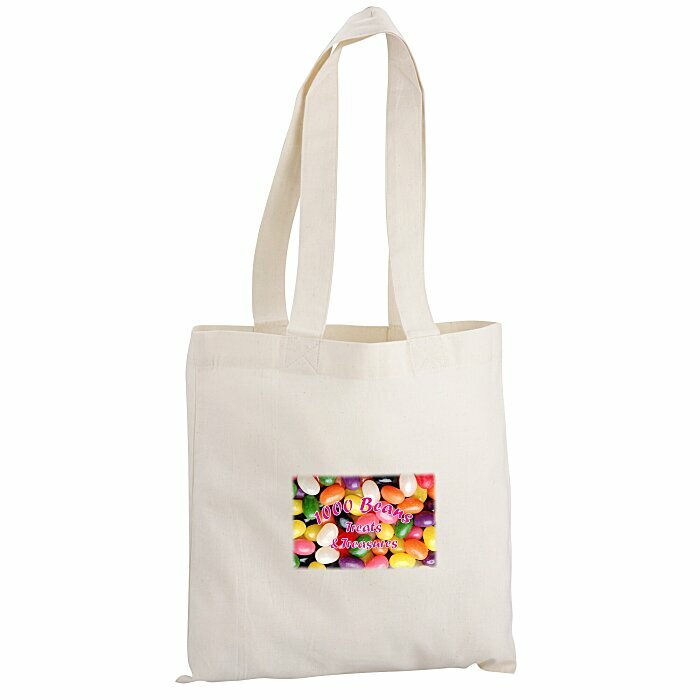 Your price includes a full-color imprint on the front of the tote.